Teachers want to create their own “books” or resources, making them discoverable within our Follett products. The idea is when a teacher builds resource materials on Google Drive they can click on our Google Chrome extension to publish that resource to a Follett Product. 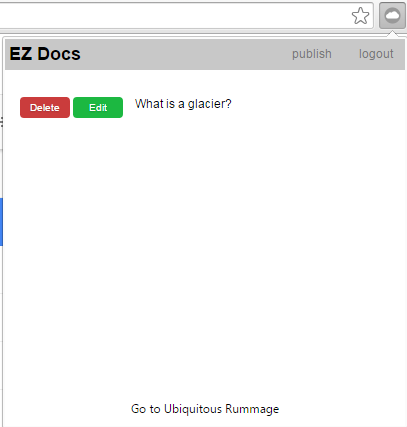 Since no Follett products are ready to accept teacher published documents, we’ve created an Ubiquitous Rummage server (a simulation of a Follett searching tool). The prototype we created allows the teacher to interact with the popup dialog and allows the teacher to enter in meta-data about the content, making it easy to discover. 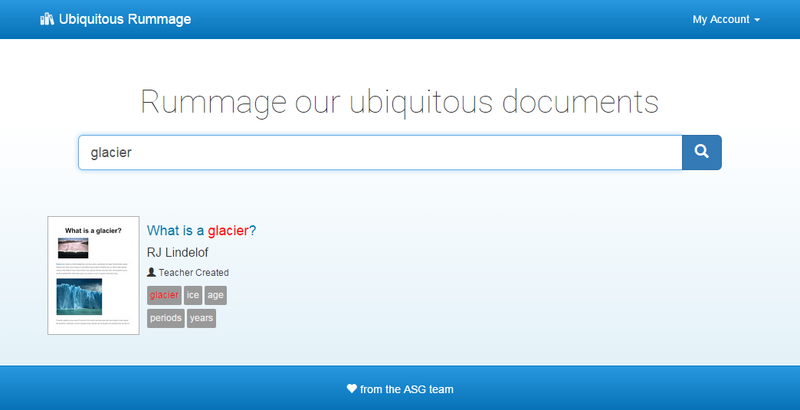 We auto populate author, title and keywords we grab from the document. 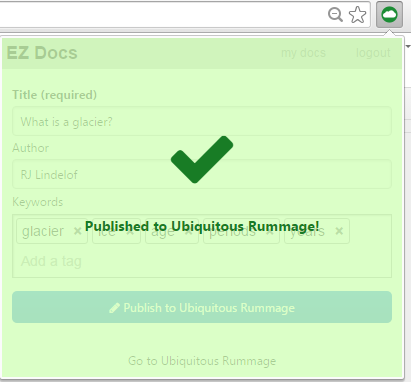 Publishing will send this information to our Ubiquitous Rummage server. 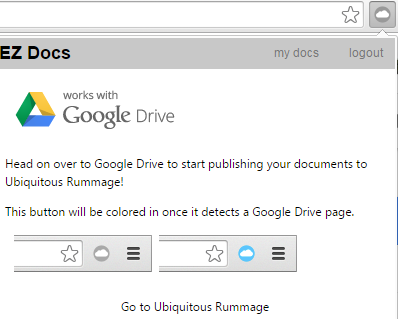 This extension holds on to a list of previously published resources, providing quick access to editing Google Drive as well as the metadata submitted to Ubiquitous Rummage server. 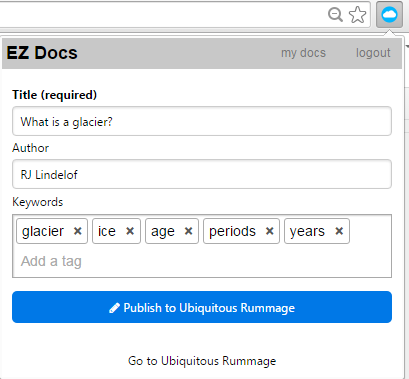 In addition to the extension we made the Ubiquitous Rummage server also include searching functionality to demo how the extension might work in one of our Follett products. We have published this Google Chrome Extension to the Chrome Web Store, however because it is a prototype we have marked it is a private. The only way to use it is by clicking the install button below.